I love my new iPhone. That's all there is to it. The thing does everything i need it to. Especially now that I've got my new media box (review coming soon). The problem is that it is an investment. One you really want to protect. One drop and your entire music library, email, and phone are gone. That's where this bad boy comes into play. 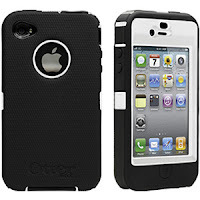 The Otterbox Defender is not cheap. You can find them online for a decent price, but retail will set you back about $50. This is the best investment you could ever make. 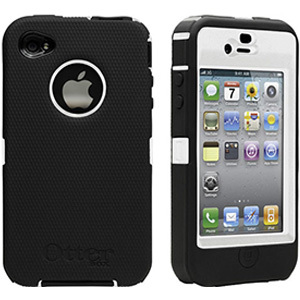 The case comes with 3 layers of protection: an inner ABS plastic shell, a built in screen protector, and an outer rubber casing. I have seen videos of this thing literally being dropped 3 stories onto pavement with the phone in it. No damage at all. I have (purposely) dropped my phone from 6 feet or so at least 3 times to prove that this thing does its job. Not a dent or scratch to be seen. The rubber casing does a great job of absorbing shock, plus it has covers for the dock port, vibrate rocker, and headphone jack. The power button and volume buttons are still easy to press without having to be forceful. I won't belabor the point. It's fantastic and as soon as i have another 50 to spend I am getting another one. If you have a device that they make a case for and you don't have one of these, get one.